Thinking about selling some of your shares? Or , as the owner of your business, are you toying with the idea of dumping that one factory that’s totally lousing up your bottom line? Whether you’re an individual or a company, whenever you make a capital gain on any of your assets you’ll need to pay a tax. Capital Gains Tax. So, Capital Gains Tax is applied to the profit made when you sell anything you own, including shares, real estate or any business asset. Depending on the ownership of the asset, Capital Gains Tax will be reported and accounted for via self assessment or corporation tax. What Type Of Assets Incur Capital Gains Tax? Real Estate & Land – includes factories, workshops or buildings used to carry out a trade. Hats off to the clever boys and girls at HMRC, because whether you opt to sell, trade or even gift any asset upon which a profit is seen, you’ll need to stump up some CGT. It also does not matter if the asset is in the UK or abroad. The tax payable on the £50,000 capital gains would be accounted and paid for via Charlie’s self assessment tax return or if he has incorporated his business, within the corporation tax payable. Hoorah. Each year you’re allowed to make a certain amount of capital gains without paying tax. The allowance is called the “Annual Exempt Amount” and it tends to vary each year, depending on the Chancellor at the helm and the economic times and climate. 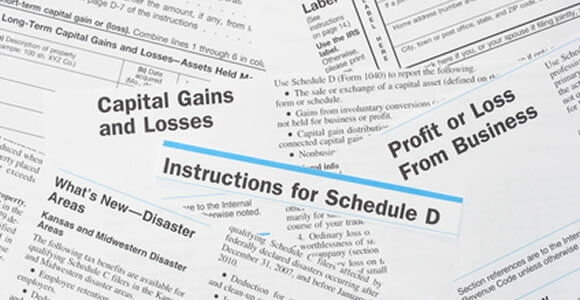 To calculate the capital gains tax, simply deduct the Annual Exempt Amount from the capital gains seen. So, Chip Shop Charlie may have made a capital gain of £50,000 by selling his shop, but let’s say (purely as an example) that the current Annual Exempt Amount is £10,000. It means the actual taxable capital gains would be only £40,000. This is what he pays CGT on. The actual amount of Capital Gains Tax Chip Shop Charlie would pay depends upon the actual Capital Gains Tax rates that currently preside. These change frequently, and are available from the HMRC website. What About Capital Gains Tax Relief For Businesses? Businesses can qualify for a host of breaks including Entrepreneurs Relief, Business Asset Roll Over Relief, Incorporation Relief and Gift Hold-Over Relief. Entrepreneurs Relief applies to capital profits made on any part (or all) of a business and its assets. Only individuals working as sole traders, or within a partnership qualify for Entrepreneurs Relief, and there is a maximum amount you’re allowed to claim in your lifetime. Business Asset Roll Over Relief is intended for companies who dispose of an asset that will be replaced. So for example, Charlie would qualify for this relief if he sold his chippie up to 3 years before buying a new one (or even if he bought a new one, up to a year before selling his existing one). There are several supplemental conditions that must be met too, including how the assets are utilized and what portion of the capital gains are reinvested into assets for the business. Incorporation Relief applies to sole traders and partnerships who incorporate their business into a Limited Company. Gifts Hold Over Relief can be applied when a business gives away, or disposes for less than full value, any business asset that is owned. Somewhat unsurprisingly, you are liable to pay fines and penalties if you do not pay your Capital Gains Tax both accurately and on time. If you’ve found this all a little bit bland, let’s spice the ending up by giving you a quick history lesson on Capital Gains Tax. Did you know that it was introduced in 1965 by James Callaghan as a tool to prevent the wealthy converting their income into capital? Over the years, CGT has evolved considerably as a tax with the concept of indexation being introduced in 1982, followed by dual rates in 1988. Shortly before the turn of the Millennia, Gordon Brown introduced taper relief which sought to cushion the CGT burden for assets held over a long period (which Alistair Darling promptly gnashed up in 2008). Post Y2K, successive Chancellors have continued to tinker with both the rate and structure of Capital Gains Tax. So how might Capital Gains Tax evolve in the future? I don’t know – your guess is as good as mine. What I do know is that, suddenly and quite inexplicably, I’m in the mood for Fish n Chips.